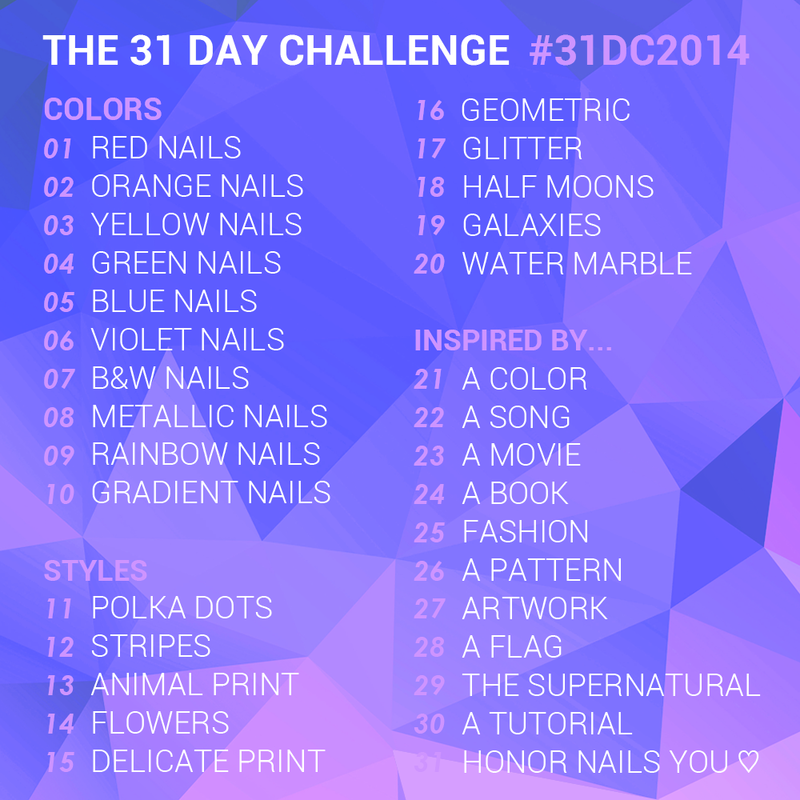 The first week of the 31 Day Challenge is down! Today’s theme is black and white. I wasn’t sure what I should do for today until I saw this op art tutorial by Nailuminium. I started off with a base of Sinful Colors Snow Me White. 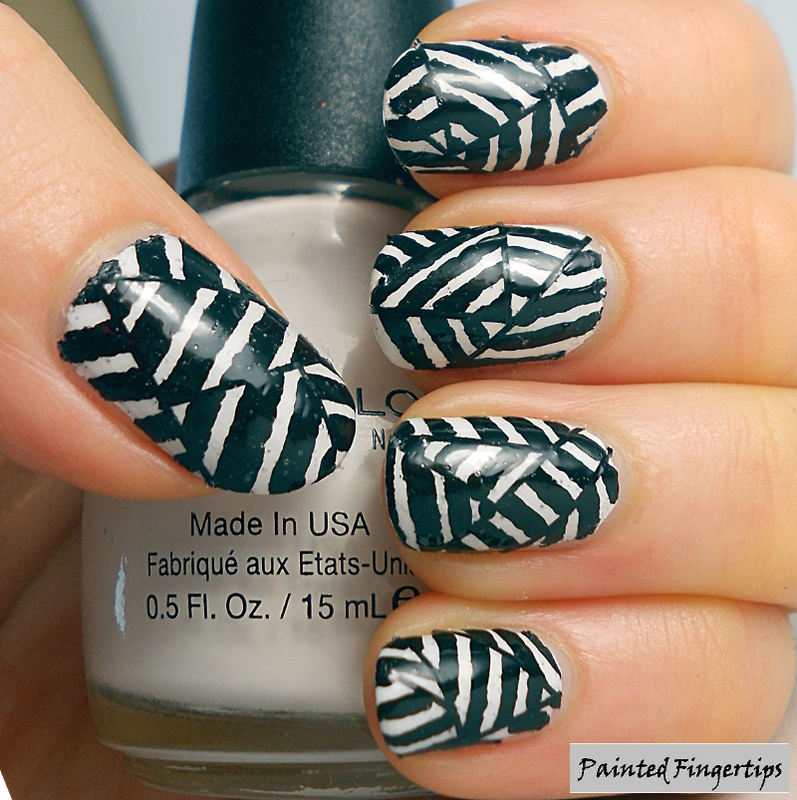 In the tutorial, the nail was then divided up into sections using polish, but I used striping tape for this step. I then did the black lines within each section using black acrylic paint. Unfortunately, my top coat bubbled a bit. However, I like the drama and contrast of this look. My lines are not perfect as my hand is not steady enough but they look good if you don’t look too closely. 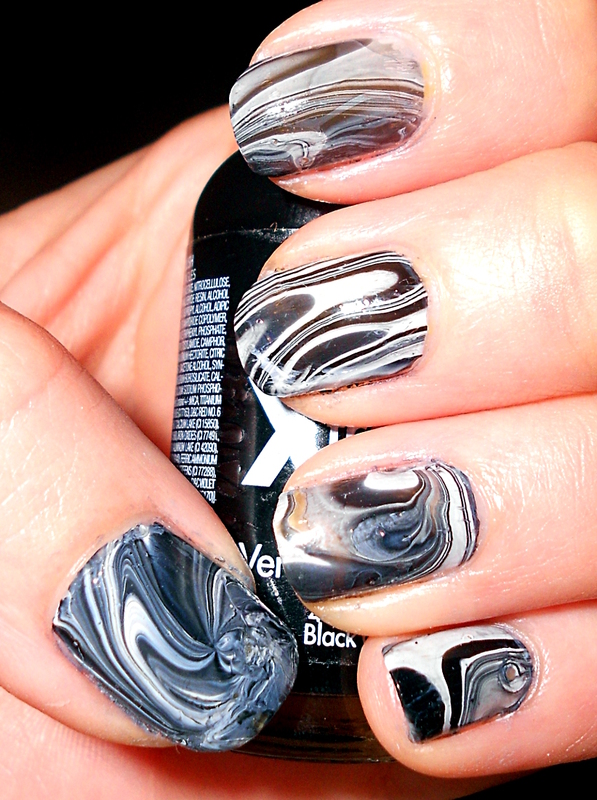 Last year I did a black and white water marble for this theme.